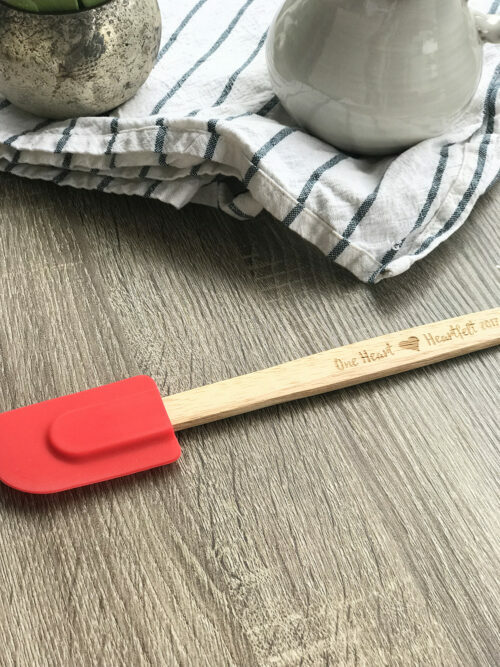 Our new Heartfelt spatula is the perfect addition to your cooking utensils. Red silicon with engraved wooden handle this spatula will meet any cooks needs. We pray this utensil will both inspire and remind you of the importance to connect with other women in a more deep and meaningful way.